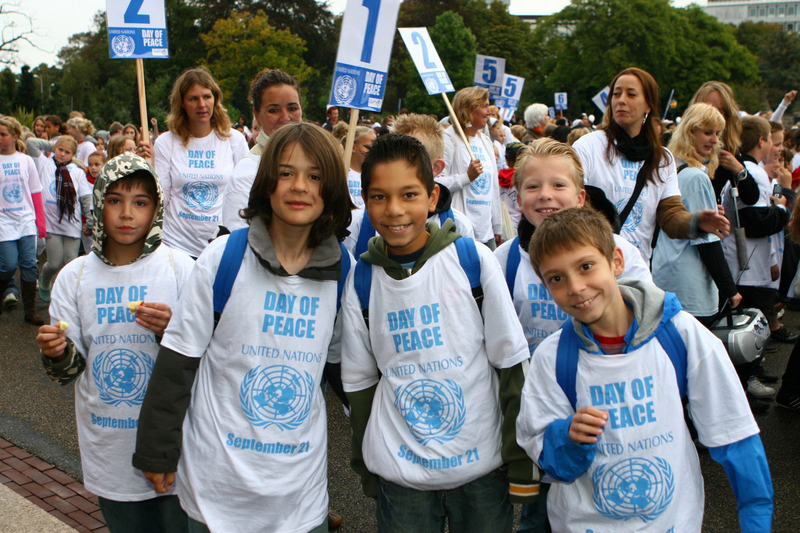 Peace Day in the Hague, the Netherlands. 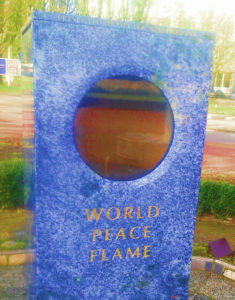 Welcome citizens of The Hague, Netherlands: International City of Peace and Justice. The Hague has a long history of peace making and now Johanna van Wijk and her colleagues have created a city of peace initiative to further encourage peacemaking in the city and beyond to the Netherlands proper. The foundation of The Hague as an “international city of peace and justice” was laid in 1899, when the world’s first Peace Conference took place in The Hague on Tobias Asser’s initiative, followed by a second in 1907. A direct result of these meetings was the establishment of the world’s first organisation for the settlement of international disputes: the Permanent Court of Arbitration (PCA). Shortly thereafter the Scottish-American millionaire Andrew Carnegie made the necessary funds available to build the Peace Palace (“Vredespaleis”) to house the PCA. What hits works. It is our work to try to understand, to respond, to listen. Dialogue brings peace. We can face conflicts, face life, through dialogue. 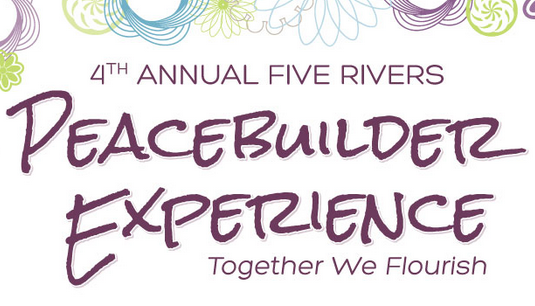 We can box for inner peace and mutual understanding. Boxing and dialogue both are peaceful arts. 2015 visit with Mwesigwa Julius and the team in Luweero, Uganda, which became a city of peace. Following your desire to give the best of yourself, being persistent and courageous in that and practice compassion, always, will restore (inner) peace. A natural world is an active, compassionate, peaceful world. Peace & compassion are our nature. 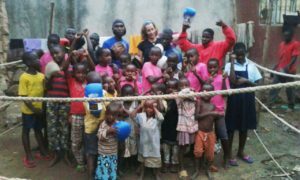 Johanna van Wijk with the kids of the Zana Social Development Organisation, Uganda – Nasser´s Junior Boxing Academy team. Dare to care. She wants to contribute to a world where peace and love are available for everybody. She wants to inspire others to give the best of themselves. 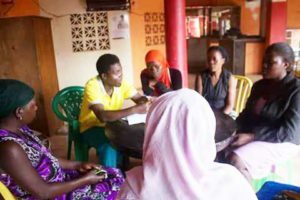 2015 dialogue introduction training with Ali Tebandeke and his team in Nateete, Uganda, which became a city of peace. 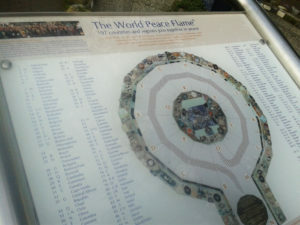 • More cities of peace in the Kingdom of the Netherlands and let as many as possible people celebrate International Day of Peace in the Kingdom of Netherlands. 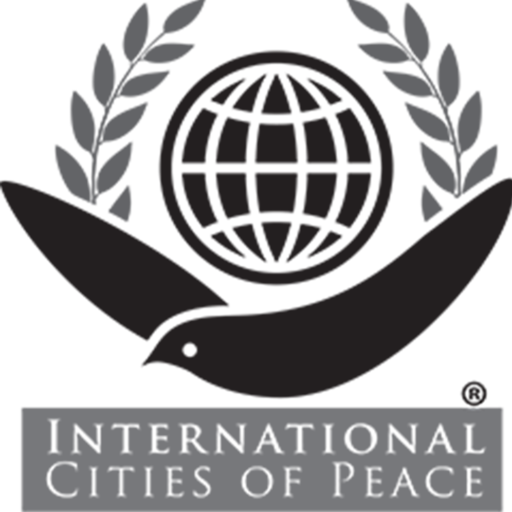 • Respect and cooperate with existing peace building initiatives in the Hague, reach out to them and invite them to join the team of the Hague City of Peace. • Communicate globally about the the Hague peace building actions and the actions in other cities of peace in the Kingdom of the Netherlands, so that others can benefit from the examples, and vice versa. 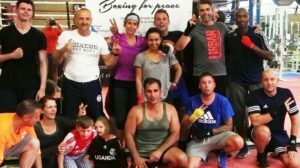 2017 with Boxing for Peace team in Rijswijk, the Netherlands. Johanna was born in July 1967, in the middle of the country the Netherlands, the Utrecht area. She was raised Catholic and grew up as a cheerful, curious and loving child who managed to find her own way amidst of a butchery family with four children. Johanna has learned a lot from home, at school and beyond. At a young age she felt world citizen, connected to all living things. She likes nature and travelled in Europe, Australia and the United States (New York, Michigan and Isle Royale in lake Ontario) and visited Beijing, Bali and Kigali (Rwanda). In Uganda she stayed several times in Kampala ghettos and co-founded a social development organisation in one of them. Johanna has worked for more than fifteen year for IBM and runs, since 2008, her own company, besides her other work. She studied International Marketing management, Business Administration (post graduate), Mediation and Psychosocial knowledge and did many workshops and training in support of her development. With courage, empathetic ability and spiritual strength she helps people and organisations to live from their heart and inspiration. She is facilitator in Restorative Circles and initiator and focaliser of Restorative Circles the Netherlands. 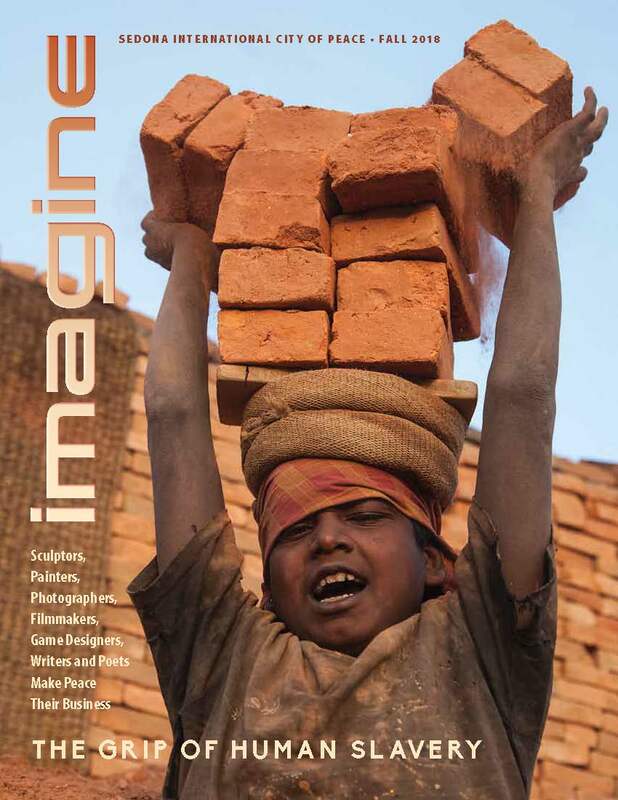 In 2015 she founded together with others the NGO Herstelcirkels (see http://herstelcirkels.nl/wordpress_bestanden/en/1305-2/). 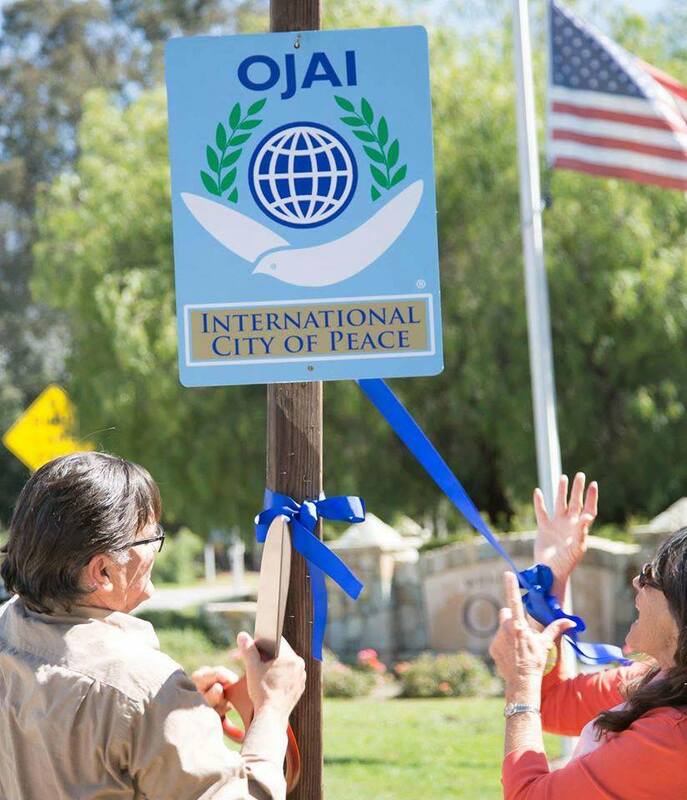 Since March 2014 Johanna is involved in the International Cities of Peace community. In 2015 she started offering her Peace via Dialogue program. Also she is member of the Charter of Compassion. The Hague is the seat of government in the Netherlands, and the capital city of the province of South Holland. 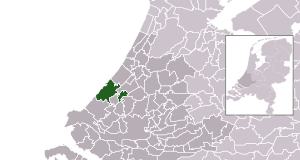 With a population just over 500,000 inhabitants (as of 1 November 2012) and more than one million inhabitants including the suburbs, it is the third largest city of the Netherlands, after Amsterdam and Rotterdam. The combined urban area of The Hague and Rotterdam, with a population of approximately 2.9 million, is the 206th largest urban area in the world and the most populous in the country. Located in the west of the Netherlands, The Hague is in the centre of the Haaglanden conurbation and lies at the southwest corner of the larger Randstad conurbation. The Hague is the seat of the Dutch government and parliament, the Supreme Court, and the Council of State, but the city is not the capital of the Netherlands which constitutionally is Amsterdam. King Willem-Alexander of the Netherlands plans to live at Huis ten Bosch and works at Noordeinde Palace in The Hague, together with Queen Máxima. Most foreign embassies in the Netherlands and 150 international organisations are located in the city, including the International Court of Justice and the International Criminal Court, which makes The Hague one of the major cities hosting the United Nations, along with New York, Vienna, Geneva, Tokyo and Nairobi. 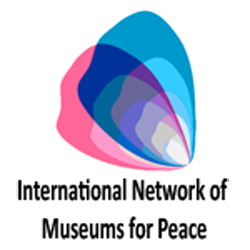 The city of The Hague contributes substantially to international politics: The Hague is home to over 150 international organisations. These include the International Court of Justice (ICJ), the International Criminal Court (ICC), the International Criminal Tribunal for the former Yugoslavia (ICTY), and the Appeals Chamber of the International Criminal Tribunal for Rwanda (ICTR). 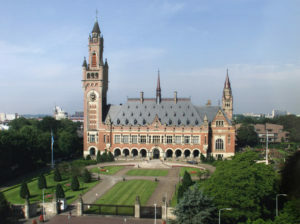 After the establishment of the League of Nations, The Hague became the seat of the Permanent Court of International Justice, which was replaced by the UN’s International Court of Justice after the Second World War. 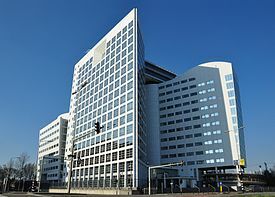 The establishment of the Iran-US Claims Tribunal (1981), the International Criminal Tribunal for the former Yugoslavia (1993) and the International Criminal Court (2002) in the city further consolidated the role of The Hague as a center for international legal arbitration. Most recently, on 1 March 2009, a U.N. tribunal to investigate and prosecute suspects in the 2005 assassination of Lebanese Prime Minister Rafik Hariri opened in the former headquarters of the Netherlands General Intelligence Agency in Leidschendam, a town within the greater area of The Hague. The Hague is the fourth major centre for the United Nations, after New York, Geneva and Vienna. In line with the city’s history as an important convention center and the current presence of institutions such as the ICJ, The Hague’s city council employs a city branding strategy that aims to establish The Hague as the Legal Capital of the World and the International City of Peace and Justice. – International Criminal Tribunal for Rwanda (ICTR, appeals court only). The tribunal itself is in Arusha, Tanzania. – Permanent Court of Arbitration, the oldest institution for international dispute resolution.